If you are a restaurant owner, you should consider crafting a menu with a wide array of burger options. In case you have not noticed, there is a burger revolution going on in the United States, and eateries that can hone in on the craft and design noteworthy beef patties often have lines around the corner. In order to effectively cook and prepare the best burgers, restaurant owners need commercial ranges. The top-of-the-line Bakers Pride 72-BP-10B-G12-SX30 Restaurant Series Range can grill burgers, sandwiches and other products with ease. Having the proper restaurant equipment is not an option. The food service industry is a competitive one to enter, so taking the leap without wielding the proper tools can be detrimental to success. 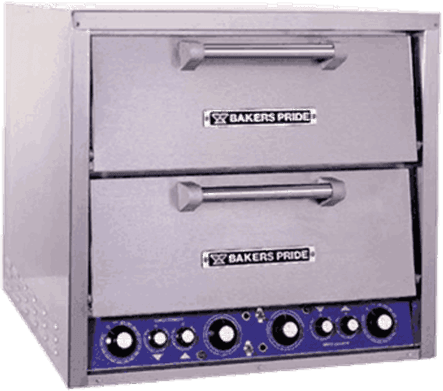 The Bakers Pride 72-inch commercial range comes with 10 gas burners, a 12-inch griddle and two ovens. The provided utilities would allow you to create several burgers at one time, all with a personal touch that only a creative mind like yourself could design. Find your true calling with burgers today and see how the Bakers Pride 72-BP-10B-G12-SX30 Restaurant Series Range can help you achieve your goals.